Home Photo [Photo] Bride Writes Exam On Wedding Day In Her Wedding Dress. 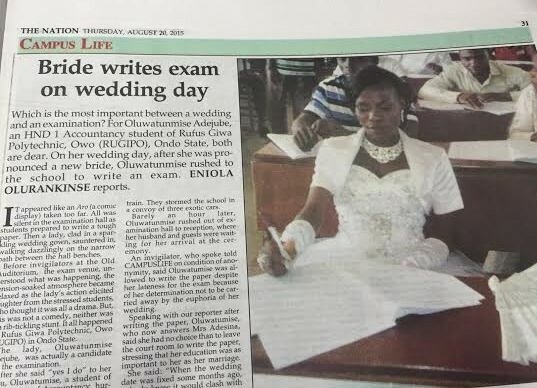 [Photo] Bride Writes Exam On Wedding Day In Her Wedding Dress. The fear of Nigerian lecturers is the beginning of passing exams.